Everyone wants peace, don’t they? People want peace in their families. Americans want peace between their political parties. The world wants peace in the Middle East. And beauty queens want world peace. Most of the world was at one time under the Pax Romana, the peace of Rome, which was established by brutality and war. America has been through a peace revolution when the mottos were love and not hate, peace and not war. But where has the world gotten with all of these desires and mottos? What kind of peace has the world established on its own? In today’s passage we learn about Christ’s gift of peace. This is a different kind of peace, a peace that the world cannot give, but can only come from Christ. Christ could only say so much while on earth with His disciples. They would only be able to absorb so much that night in the Upper Room. Many things would be left unsaid and undone. But there was promised another Helper who would come to reinforce what Christ had taught. Only here is the second Helper specifically referred to as the “Holy Spirit.” He was referred to as the Spirit of Truth, but now is designated as the Holy Spirit. We must realize, for our own good, that the promise of the end of verse 26 was made to that group of men in the Upper Room. That promise was not made explicitly to us, but its effect is for us. The Spirit would not come to say something completely new. He was sent to teach the first disciples everything that Jesus had said and to bring all those things to their remembrance. How do we explain that the apostles and their associates were able to write completely trustworthy and accurate accounts 10, 20, or 30 years after Christ died and rose again? How could they remember and understand those things? The Holy Spirit was sent to uniquely inspire them to author Holy Scripture. The second Helper called all those things that Jesus said to their remembrance and enlightened them to the meaning of each thing. Therefore, we have everything in the New Testament that Christ wants us to have and know. He is the one who has authored the Scriptures. He has preserved all those things about Himself that He wants us to know. Yet, some teach that Christ was only promoting a simple religion that was not entirely new or revelatory, but was based on simple principles like the Fatherhood of God and the brotherhood of all mankind. Some teach that Christ did not want to draw attention to Himself and only died as a martyr. That is completely false and cannot even be assumed from the sayings of Christ. Christ promised before His betrayal, arrest, and crucifixion that He would live again and that He would send another Helper to remind and teach the disciples all the things concerning Him. And, when the Holy Spirit descended on those men on the day of Pentecost, they went out into the streets to proclaim a crucified and risen Christ, a Christ who had taken upon Himself the sin of the world. These are the things that the Spirit was able to teach the disciples, that Christ is both Lord and Savior of all those who come to Him by faith. “Peace,” here, is the simple Jewish “shalom” used for greetings and goodbyes. Jesus, of course, is using it as a farewell in this context. He is “leaving” them with this as if He is bestowing them with something. He goes on to promise much more than a simple farewell, but transforms the term. He promises to “give” to the disciples “His peace.” With the other passages of John 13-17, I interpret this verse through the lens of the cross. Jesus really is leaving a certain inheritance to believers of all generations as He goes back to the Father by way of Calvary. He is going to prepare a place for us in the Father’s house. In order to do so He will have to make peace between us and the Father. You see, we have sinned against a perfectly holy and righteous God. The world cannot give this kind of peace. It may make many offers, but none are true remedies for the real and eternal problems that we face. We know that Christ was troubled with a righteous trouble in His heart over the effects of sin and what He would have to do in order to remedy the problem, but He was never afraid, that is, without courage. Christ faced the opposition, the sin of the world, and the cross with boldness and courage. Jesus has already said a few times that He is going away, and He has even promised that He is coming back to them again. Yet, the disciples have no joy in their hearts over this news. They are only worried about their own selves. The Lord makes clear that the disciples still do not love Him the way they should because if they did, they would have rejoiced to hear that Jesus is going back to the Father. Why should they have rejoiced? Why can we rejoice that Christ has gone back to the Father? Because the Father is greater than Christ. Now we have come to a seemingly complicated statement. If Christ is Divine, and He and the Father are one in essence, how is it that the Father is greater? I will give you two ways in which the Father is greater. First, in eternity past, the Father and Son agreed together that the Son would humble Himself to be sent by the Father. So, we can rejoice that the one who was sent has returned to the one who sent Him because He has accomplished the mission He set out to do. Second, the Father was greater at that time in the sense that He was in a heavenly place of glory while the Son was on earth in human form. There is a great difference between the two. Yet, the Son has ascended back to the right hand of the Father in His place of glory and has been given the name which is above every name. His glory is now unmistakable to His people, and one day the entire world will see Him for what He really is – the most glorious treasure imaginable. Praise the Lord and rejoice in the fact that you already know Him! Jesus, again, repeats the statement, “And now I have told you before it comes, that when it does come to pass, you may believe.” Jesus’ goal this night is to lay out a spread of food that they will only be able to eat later. He is preparing a feast that they cannot stomach just yet, but they will later on. When all is said and done, He wants these guys to believe. And they will. He has told them all these things (mainly that He is leaving) before it happens so that His foretelling may be a sign to them in future days. Jesus only has a few more moments with these fellas. They are not ready, but Jesus is saying things that will be called to their remembrance later by the Helper, the Holy Spirit of promise. He is running out of time because night has fallen, Satan has entered into the heart of the betrayer, the ruler of this world was coming. “He has nothing in Me” is a key phrase at the end of verse 30. It is a legal term meaning that Satan has nothing against Christ. Satan is our accuser both day and night, and he does not have to look very long or hard to find all kinds of evidence to indict us. In reference to Christ, though, he has nothing against Him. Christ was perfect, sinless. Christ was not hung on the cross by this world or the ruler of this world. He was not hung on the cross for His own sins. Christ willingly went to the cross for people like you and me. He did it, as verse 31 states, in love for and obedience to the Father. How do we know that Christ loves the Father? He has been perfectly obedient to Him. How is our love shown for Christ? We must obey His commandments. A puzzling statement comes at the end of the chapter. Jesus says, “Arise, let us go from here.” We would think that they probably left the Upper Room at this point, but a couple of things tell me that they did not leave just yet. First, Jesus’ teaching continues into the next two chapters. Second, 18:1 says, “When Jesus had spoken these words, He went out with His disciples over the Brook Kidron, where there was a garden, which He and His disciples entered” which appears to be clear indicator that the farewell address had just ended and then they left. Many options for interpretation have been put forward. I think that we may be able to picture Jesus standing up from the table and continuing the teaching, but not yet leaving. Practically speaking, how many times have you been with a group of people and someone said it was time to go, but you did not leave for 30 minutes or an hour later? Or how often have you heard a preacher say, “In conclusion,” but take 30 more minutes to finish? I think that Jesus is obviously transitioning in His speech, and He may have even been an outburst of spiritual and emotional boldness that they should go meet the ruler of this world, but I think they remain in the Upper Room until after the prayer of chapter 17. (1) You have a Bible that is completely trustworthy. It was uniquely inspired. (2) You can rejoice today that Christ has gone back to the Father, that is, He has gone back to the ultimate place of glory after preparing a place for you in the Father’s house and leaving peace for you as a gift. These are your promises to claim. 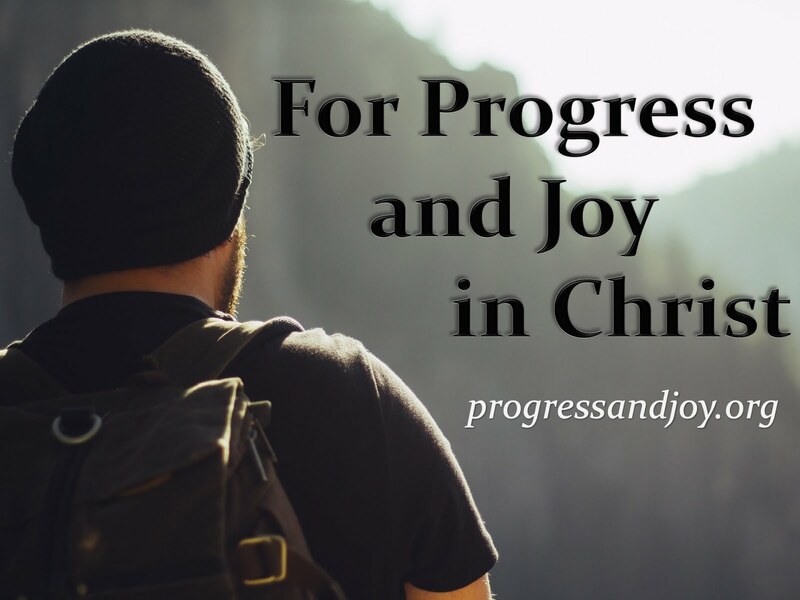 You should rejoice over what Christ has accomplished. (3) When darkness comes into your life, it is not in control. Satan has no control over you, Christian. Your Savior and Lord is in control when you reach your darkest hour just as He was in control during His darkest hour. He wanted His disciples to know that He was in control before the betrayal and crucifixion took place, and you should know before pain and suffering come into your life that He is in control.